A lot of our members work in countries where PPE (personal protective equipment) is regulated or they work for companies/organizations which take employee safety seriously. Unfortunately, there are places/companies where little or not thought is given to safety and daily peoples lives are put at risk. If you are working on live circuits then you should always use PPE. The person primarily responsible for your safety is yourself. If anything happens to you it affect you and your family far more than anyone else. Always use PPE at all times when working on live equipment. Note: the recommendations are relevant for light electrical work. If a risk assessment identifies a significant 'Arc Flash' risk, then full flash protective gear should be worn. 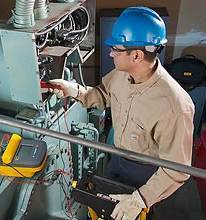 On higher voltages or special installations, additional PPE may be required. Great info. Thanks for sharing these recommendations. It really helps! Always secure safety when performing electrical works.